Prof. Santi Caballé is a Full Professor of Learning Engineering at the Open University of Catalonia (UOC). He is affiliated with the Faculty of Computer Science, Multimedia and Telecommunications (EIMT) of the UOC, where he teaches on-line courses in the area of Software Engineering and conducts research activity on Learning Engineering, e-Learning, Distributed Computing and Software Engineering. Prof. Caballé holds Ph.D. (2008), Master’s (2005) and Bachelor’s (2003) degrees in Computing Engineering from the UOC. His teaching activity started in 2004 as an Assistant Professor at the EIMT Department of the UOC, where he became Associate Professor in 2006 and Full Professor in 2017. He also was an Academic Director of the Postgraduate program of Software Engineering (2010-2017). Prof. Caballé received a teaching accreditation as Tenure-track Lecturer issued by AQU Catalunya (2008) and was awarded with Teaching Merits(“quinquennis”) for the periods 2005-2009 and 2010-2014 under the Docentia program by UOC. He has supervised 4 PhD Thesis so far as well as several Master Thesis. Prof. Caballé was formerly a Research Assistant (2003-2005) at the IN3 research center of the UOC where he became Associate Researcher in 2006, and in 2009 he also became Associate Researcher at the eLearn Center of the UOC. He has been a Pre-doctorate researcher at the International Computer Science Institute (2007-2008, Berkeley, CA, USA) as well as a Post-doctorate researcher at the Fukuoka Institute of Technology (2013-2014, Fukuoka, Japan) and at the School of Information technologies of the University of Sydney (2017, Sydney, Australia). He was awarded with research accreditations as Full Professor (2015) and Tenured Assistant Professor (2012) as well as with Research Merits (“sexennis”) for the periods 2004-2009 and 2010-2015 by AQU Catalunya. He is currently the Head of the Research Group SMARTLEARN devoted to Learning Engineering and the intensive use of ICT to enhance any form of eLearning. Prof. Caballé has leaded and participated in over 30 research and teaching projects, including leading European multi-million funded projects, and has been involved in the organization of many international research events. His publication record spans over 200 peer-reviewed publications, including 14 books (published by Elsevier, Springer and IGI), 50 journal papers(indexed in ISI-JCR and SCOPUS) and over 130 conference papers (published by IEEE Computer Society and Springer). His research contributions have been widely cited: over 200 publications cited 1,600 times in Google Scholar with h-index:20 and 160 publications cited 850 times in SCOPUS with h-index:14. He has been recognized with the UOC Most Quoted Author Award as well as Best Paper Award in several international conferences. Finally, Prof. Caballé has been invited as Keynote Speaker in international conferences as well as he usually serves as an Editorial Board Member and Guest Editor for journals and books. Dr. Jordi Conesa is an Associate Professor of Computer Science at the Universitat Oberta de Catalunya. He received his PhD in Software Engineering from the Technical University of Catalonia, after a research stay in Georgia State University of Atlanta (US). His research interest concerns the areas of conceptual modelling, ontologies, Semantic Web, knowledge-based systems and e-learning. His long-term goal is to develop methodologies and tools to use ontologies effectively in several application domains, such as conceptual modelling, software engineering and e-learning. He has authored more than 60 research papers, has participated in several research projects, including EU-FP7, CICYT and AVANZA funded projects, and has contributed in the organization of some international conferences and has been program chair and program committee member of several international conferences. Finally, he also serves as external reviewer for many conferences and journals. Dr. Isabel Guitart is an Associate Professor of Computer Science at the Universitat Obert de Catalunya (UOC) since 2002 in the knowledge area of Information Systems and Software Engineering. She received her Master degree at the Polytechnic University of Catalonia and obtained her PhD degree in Network and Information Technologies from the UOC in the research scope of business and academic analytics and their application to information systems of universities. She has published several papers in conference and journals and has also participated in national research projects, such as ICT-FLAG, devoted to the development of eLearning general services featuring learning analytics and gamification to enrich and enhance eAssessment tools. Dr. David Gañán is a computer science engineer specialized in database design and software engineering. He has been working at Universitat Obert de Catalunya since 1999, teaching and developing many academic projects inside the e-learning field; particularly, he has actively participated in the ALICE FP7 European project for the construction of an adaptive e-learning system and in the H2020 European TESLA project as contracted software developer of adaptive trust e-assessment learning systems. Apart from the research activities he works as a freelance independent professional for third parties, developing all kinds of projects and applications, both desktop, web or mobile ones, primarily using Microsoft .NET technologies. Hi is currently the CEO at the software development company DeltaDev based in Barcelona. 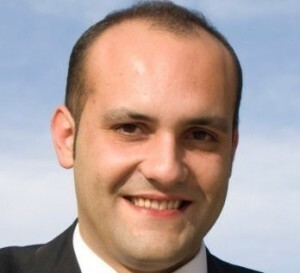 Francesc Santanach has a Bachelor degree in Computer Science Engineering from the Polytechnic University of Catalonia. He currently works in the eLearn Center, the e-learning research and innovation center of the Universitat Oberta de Catalunya (UOC). He is in charge of e-learning laboratory (eLearn Lab) at UOC, providing the infrastructure and the set of instruments needed for experimentation in real classrooms. He is also in charge of the Learning Analytics infrastructure, providing a data analytics service for research and innovation projects at UOC. He runs national and international projects in the field of learning technologies, learning resources, learning standards, interoperability and learning analytics. Previously, he was responsible for the design and technical architecture of the UOC’s Virtual Campus, and for the interoperability and integration of e-learning solution and educational resources. 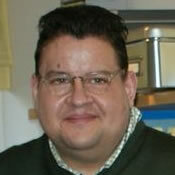 He has also been a researcher in the e-learning field, author of learning materials and Instructor at UOC. Dr. Jorge Miguel received the Bachelor degree in Computer Science Engineering (2002) from the University of Zaragoza. He also holds a university master’s degree in Education and ICT (2011) and a PhD degree in Network and Information Technologies (2015) from the Universitat Obert de Catalunya. His professional background embraces 12 years leading departments of Information Technology and Information Security. Since 2006, he has served as lecturer and assistant professor of Information Security at the San Jorge University. 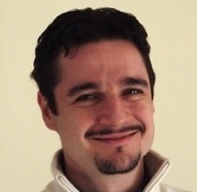 Dr. Jorge Miguel’s research interests are focused on e-Learning and Information Security. His research activity is supported by 20 research contributions to several reputed journals and international conferences as well as he has participated in several research projects at national and European level. Dr. Modesta Pousada is lecturer at the Psychology and Education Department in the Universitat Obert de Catalunya (UOC) since 2001. Her teaching is focused on Psychological Processes and on Health Psychology, both in graduate and post-graduate programs. Before she joined to the UOC, she worked as researcher and lecturer at the Department of Experimental Psychology in the Barcelona University (1991-2001). There, she was member of the research groups in History of Psychology and in Human Memory, and in 1996 she obtained her PhD in Psychology. Her interest in high education teaching innovation brought her to some postdoctoral courses in on-line education and didactic design and, in the end, gave her the opportunity to join to the UOC. Currently, she is also member of PSiNET Research Group, aimed to the study of psychological aspects linked to the use of ICT in relation to people’s health and quality of life. She has been awarded by Catalan Quality Agencies for her research and teaching merits, she has participated in research and teaching innovation projects and published books, chapters and papers in topics such as: human memory, on line psychological interventions, quality of life assessment or cognitive decline. Dr. Antonio Sarasa obtained an MSc. degree in Mathematics from the Universidad Complutense de Madrid (UCM), a BSc. degree in Computer Science from the Universidad Nacional de Educación a Distancia, MSc. degree in Computer Science from the Universitat Oberta de Catalunya, and PhD. in Computer Science from UCM. He is currently an Associate Professor at the UCM’s Computing Systems and Computation Department. His research is focused on the language-oriented development of XML-processing applications, and on the development of applications in the fields of digital humanities and e-Learning. 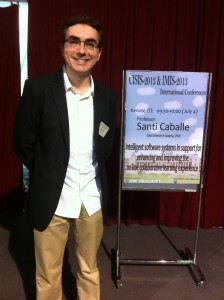 He is a member of a Research Group on Implementation of Language-Driven Software and Applications (ILSA) at the UCM. His research results have been published in over 50 research papers, conferences and book chapters. He collaborated with RED.ES in the construction of AGREGA, the first federated repository of learning objects built in Spain. Currently, he is a member of the AENOR CTN 36 committee. Dr. Nicola Capuano is a Computer Scientist with a main research interest in Artificial Intelligence and, among its applications, Intelligent Tutoring Systems and Knowledge Representation. He is author of several scientific papers on these topics. He is also a scientific referee and member of editorial boards for International journals and conferences. He works as Scientific Officer at the Department of Information Engineering, Electronic Engineering and Applied Mathematics (DIEM) of the University of Salerno, He is a project manager and scientific consultant for research and development projects. He was a research assistant at the University of Salerno where he collaborated with several research organizations like the Research Centre in Pure and Applied Mathematics (CRMPA) and the Research Centre on Software Technology (RCOST). He is currently the Head of the Research Group SMARTLEARN affiliated with the IMT Dept of the UOC . His research contributions have been widely cited: 200 publications cited 1,000 times in Google Scholar with h-index: 18 and i10-index: 37; 130 publications cited 400 times in SCOPUS with h-index: 10; 56 publications cited 165 times in ISI-WoK with h-index: 7. Dr. Michalis Feidakis currently works at the Department of Electrical Engineering, Technological Educational Institute of Piraeus (Greece). He does research in Educational Psychology, Cognitive Psychology and Behavioural Science. 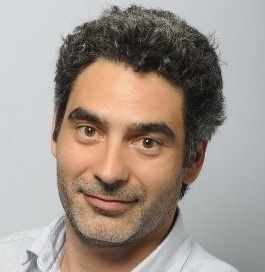 Dr. Michalis Feidakis’s main research topics are: eLearning, Computer-Supported Collaborative Learning and Affective Computing. His research activity is supported by 30 research contributions to several reputed journals, books and international conferences as well as he has participated in several research projects at national and European level. Finally, he also serves as external reviewer for many conferences and journals. Dr. Caballé has leaded and participated in over 25 research and teaching projects, including leading EU-FP7, EU-FP6, and US-NSF multi-million funded projects, and has been involved in the organization of many international research events. His publication record spans over 200 peer-reviewed publications, including 20 teaching and research books (12 research volumes published by Elsevier, Springer and IGI Global), 50 journal papers (indexed in ISI-JCR and SCOPUS) and over 130 conference papers (published by IEEE Computer Society, Springer and ACM). His research contributions have been widely cited: 200 publications cited 1,200 times in Google Scholar with h-index:18 and i10-index:37; 150 publications cited 600 times in SCOPUS with h-index:12; 88 publications cited 310 times in ISI-WoS with h-index:10. He has been recognized with the UOC Most Quoted Author Award as well as Best Paper Award in several international conferences. Finally, Dr Caballé has been invited to give Keynote talks in international conferences and seminars as well as he serves as an Editorial Board Member and Guest Editor for many journals and books. assessment or cognitive decline.Dr. David Gañán is a computer science engineer specializing in database design and software engineering. He has been working at UOC (Universitat Obert de Catalunya) since 1999, teaching and developing many academic projects inside the e-learning field; particularly, he has actively participated in the ALICE FP7 European project for the construction of an adaptive e-learning system and in the TESLA H2020 European project as software developer of adaptive trust e-assessment learning systems. Apart from the research activities he works as a freelance independent professional for third parties, developing all kinds of projects and applications, both desktop, web or mobile ones, primarily using Microsoft .NET technologies. Hi is currently the CEO at the software development company DeltaDev based in Barcelona. ve decline.Nicola Capuano is a Computer Scientist, currently currying out his PhD. His main research interest is Artificial Intelligence and, among its applications, Intelligent Tutoring Systems and Knowledge Representation. He is author of several scientific papers on these topics. He is also a scientific referee and member of editorial boards for International journals and conferences. He works as Scientific Officer at the Department of Information Engineering, Electronic Engineering and Applied Mathematics (DIEM) of the University of Salerno, He is a project manager and scientific consultant for research and development projects. He was a research assistant at the University of Salerno where he collaborated with several research organizations like the Research Centre in Pure and Applied Mathematics (CRMPA) and the Research Centre on Software Technology (RCOST).